Adolescence is a prime time for orthodontic treatment. In fact, you have probably noticed many of the kids in school who are already wearing braces. That is because between the ages of 11-15 your permanent teeth begin to place themselves, and it is easy to identify gaps, bad bites, and crooked teeth. At Douglas Knight Orthodontics, we strive to help adolescents have a healthy, beautiful smile. We know the difference straight teeth can make in gaining confidence and self-esteem in the life of every child. 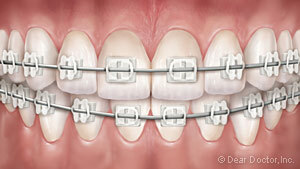 Today, braces are more comfortable, easier to maintain, and come in a larger variety of styles than ever before. There has never been a better time to consider orthodontic treatment with Douglas Knight Orthodontics. 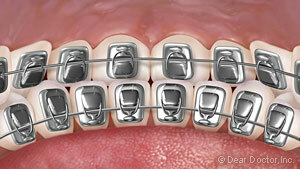 • Metal Braces – Now smaller and lighter than before, metal braces allow you to choose color options for elastics. • Clear Braces – Brackets are constructed from ceramic or other composite materials and blend in with your teeth. 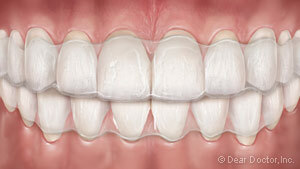 • Clear Aligners – Clear aligners are removable trays that are clear, plastic, and come in a series. 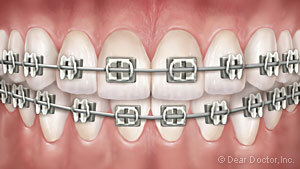 • Lingual Braces – Lingual braces are attached to the backside of the teeth and are almost completely unnoticeable. • Other Orthodontic Appliances – These may be recommended based on your needs, for example if tooth or jaw movement is necessary. To begin your adolescent treatment, contact the team at Douglas Knight Orthodontics. You can reach us at (253) 627-5550, and one of our helpful, friendly office staff members will be happy to assist you in any way they can. We look forward to helping you or your child achieve the healthy, beautiful smile you have always wanted!